3 years ago when I first started the Ketogenic Diet, one of the more difficult things to wrap my head around was how to construct a meal. I was so used to having sugary sauces or carbs in a meal, going without those things required me to have to look at everything I was doing with new eyes. For instance, I had no idea how often when I didn’t know what to do with chicken, I would just throw some BBQ sauce on it and throw it in the oven. Or if I had some stew meat, I would serve it over rice to make it go farther. If I didn’t have much of anything I would have a baked potato night with butter, sour cream and bacon bits and call it a meal. And of course a big piece of Texas Toast on the side to fill up on. It was challenging in those early days to navigate the world of LCHF and to make sure I was giving myself the best possible chance to succeed and lose weight. In order to make sure I didn’t slip back into my old ways of eating, I began to plan out my meals for the week over the weekend. It was pretty basic stuff back then, just a notebook and pen with the days of the week and what I was going to make each day. Then I would go back and make an ingredient list for each day and the head to the store to buy what I needed. Easy Peasy. Not only did my meal plans make shopping easier because I could see at a glance what I needed at the store but I could also make sure I was serving my family a wide variety of foods. I knew that if I ever got stuck in a rut of the same half dozen dishes or so repeated over and over, no one in my family was going to stay excited about this way of eating for very long. 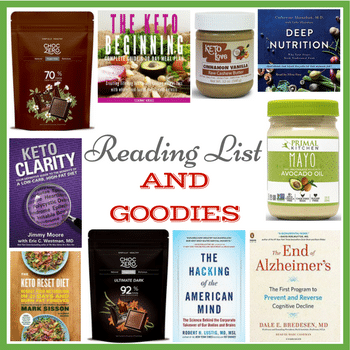 As my FaceBook community continued to grow and I talked to more and more of my readers who were interested in the Ketogenic diet, it became clear that a meal plan would help them as well. 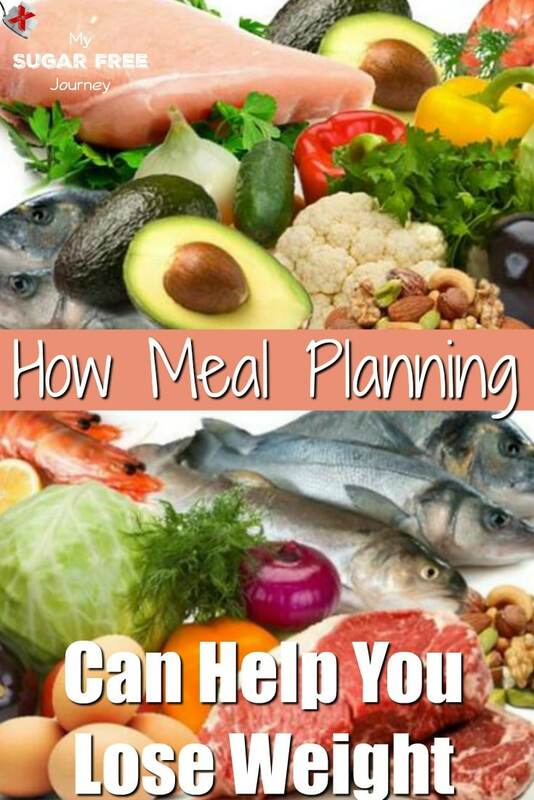 Here are 4 reasons a Ketogenic Meal Plan will make your life easier. This is a biggie for most families. You can make your plan and have a shopping list on the first day of the week. No one has to ask what you are making, all the groceries are already at the house, and you don’t have that panicked feeling at 5 PM because you forgot to take something out of the freezer and don’t know what to make for dinner. Again, all the groceries have already been bought and you don’t have to devote any mental energy towards making any decisions about dinner. You only buy the groceries you need. 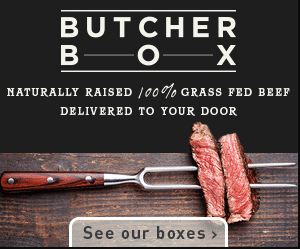 If you only need 2 lbs of hamburger meat this week for dinner, you only buy 2 lbs. No more buying a 5 lb chub and feeling obligated to doing something with it before it goes bad. No more eating the same meals over and over. You can plan variety into your meals so your family gets to always try new things. If you have a few favorites you want to repeat, you can space those out so even the favorites don’t get used too often. 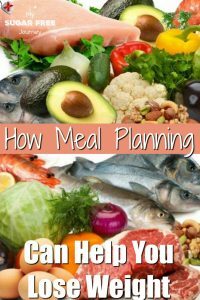 Ketogenic meal plans are incredibly helpful and easy to use and now you can get a new meal plan emailed to you every week. Each Thursday I send out a Ketogenic meal plan with 5 dinners, a breakfast, a soup or salad, and a dessert. 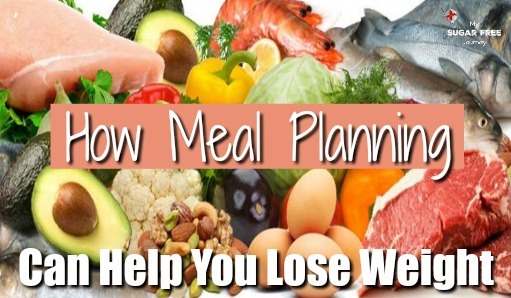 Each meal plan includes a shopping list so you can pick up everything you need from the store and your subscription gets you into the Facebook support group where you will be with over a thousand other people who are losing weight and restoring their health with the ketogenic diet. You will also have access to our nightly coaching Facebook Live video where I cover one aspect of the Ketogenic diet and answer any of your questions. 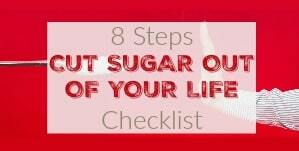 To get your meal plan subscription started, just head over to MySugarFreeJourney.com/28Day and get started. Right now the cost is a very low $20 for the first month and $15 for every month after that. 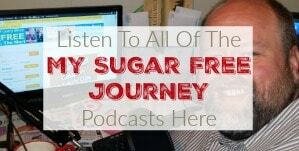 PREVIOUS POST Previous post: The My Sugar Free Journey Podcast – Episode 43: Anna Vocino and Eat Happy! NEXT POST Next post: 7/5 Weightloss Wednesday: Starting My Kettlebells Again! 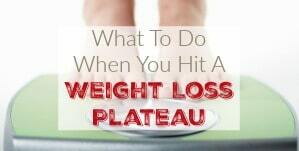 The fastest way to lose weight is to cut off your leg. The second fastest way is to stop eating and run constantly. 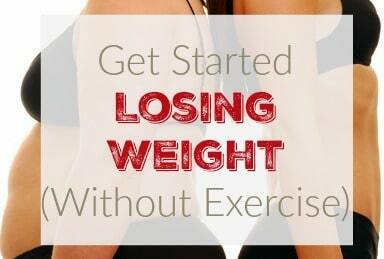 You need to be ok with losing weight slowly but consistently. 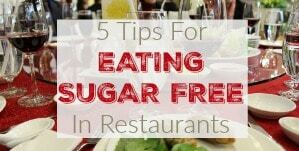 You do that by not eating sugar, grains, starches and PUFAs like vegetable or corn oil. Your diet should be mostly meat, vegetables and full fat dairy.